Regardless of whether you are moving across the state or across the country, if you have a boat, you’re going to have to find a way to get it to your new home. Unlike your grandma’s china and all of your clothing, you can’t exactly box up your boat and put it on the moving van. Fortunately, there are ways to transport your boat—including hiring a moving company and hauling it behind your car or truck. The following tips can help ensure that relocating your boat to its new place will go as smoothly as possible. If you would like to hire a professional boat mover to relocate your watercraft, you should call several companies for estimates. Have the measurements of your boat handy and also the approximate distance that it will need to be moved. When speaking with representatives from the different carriers, Hurricane Marine Transport Inc. advises, ask them for their US DOT number, and now much cargo insurance they are currently carrying. This is a key piece of information to have—if a particular moving company has insurance up to $75,000 and your boat is worth much more than that, you should definitely do business with another company. It is also important to know what each company’s safety rating is. This is all information that reputable carriers will willingly give you. As you are speaking with the different companies and gathering quotes, be sure to also look up customer reviews of their services on the Better Business Bureau website or Yelp. If you are making a relatively short move and you are already used to hauling your boat from its storage facility to a local marina, you might think about transporting your boat on your own. If your boat is quite expensive and you have a pretty long drive ahead of you, you might look into shrink wrapping the boat prior to your move. If you are not sure of how to do this, you can hire professionals to help you out. You should also make sure the gas tank is emptied out prior to hauling the boat, and remove items that stick out or up, like antennas. Once you decide the best method of transportation for your boat, you need to get it ready for the big move. Make sure that the hatches of the vessel are sealed up tightly, and that everything that is stored inside the boat is secure. If you can, remove as many of the supplies from the boat as you can and take them with you in your own vehicle or the regular moving van. If you are moving during the colder months, you may wish to winterize your boat to prevent it from being damaged by snow or sleet, and for safety, disconnect your boat’s battery. Once the move is over and you, your family and your boat are all settled in your new home, make sure you register your watercraft. The Take Me Fishing website is an excellent resource and allows you to learn the boat registration requirements for each state. Also, since boating license requirements can vary throughout the country, it’s possible that you will need to update your license. For example, if you have just relocated from Arizona to Oregon, a website like Boater Exam is a great resource that will allow you to study the state-specific requirements, take the test, and then print out your new Oregon Boater Education Card before heading out on the water. So you have packed up all your items and are ready to move them into self-storage, but packing items up correctly is only the first step in the process. Finding the right unit for your situation may not be easy, but if you follow the below advice then it may not be as difficult as it originally seems. Before looking at any storage units in person, ask yourself if you plan on utilising self-storage for a long or short period of time. The reason for this is because it is far easier to negotiate a better per month price if you commit to a long-term rental agreement with a facility. Obviously, this would be for nothing if you only have the short-term in mind, but it does bear thinking about should you have long-term on the mind and don’t wish to keep a rolling agreement in place. The days of the one-size-fits-all storage unit options are thankfully behind us, as they now come in all shapes, sizes and forms. But, that in itself can make finding the right unit tricky, as the last thing you need is a unit that is either too large or too small for your possessions. Take a full inventory before moving items in storage and get a rough estimate of the space you will need. Look at lockers that are of a similar size, yet still offer you a small amount of room for manoeuvre. The biggest trap that many renters fall into, is that they end up paying for space that the simply don’t need, do not let that happen to you. 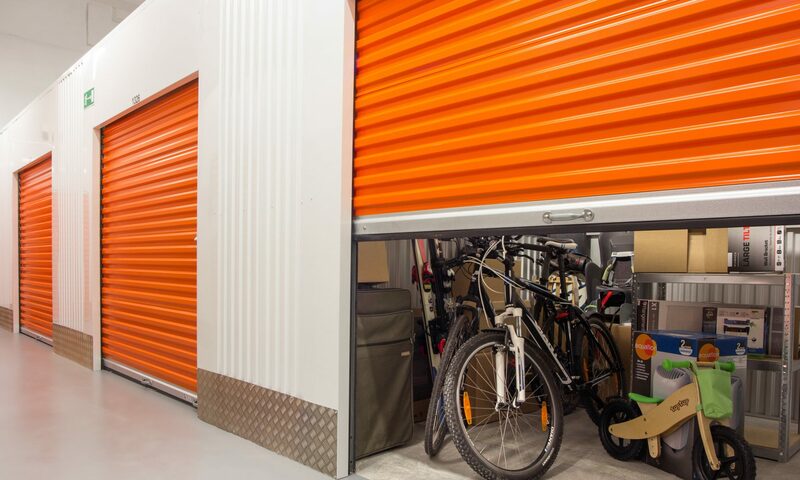 A self-storage unit is practically worthless if the facility it is housed within can’t keep your items protected and secure. It means the facility you end up choosing should place security at the top of its list of priorities. Every facility will have a different approach to on-site security, but they should also have an approach to insurance options. Some offer insurance, others do not, so speak with the facility manager to discuss how they go about protecting your possessions. If you feel that their coverage is lacking, you are free to take matters into your own hands by acquiring third party coverage for your unit. What use is a storage unit, if you can’t actually access it when you need to. It is a common misconception that all storage facilities operate under a 24/7, round the clock access philosophy. While some do, many operate under set hours. If you are someone who needs access to your unit at night, it doesn’t make sense in signing up to a facility that only allows daytime access. Before renting a unit, think about when you will need to access it, and if the facility in question can’t match up to this it may be worth taking your business elsewhere. The field of self-storage can be tough to navigate, largely because of the large array of unit options available to you. However, this difficulty should never be construed for impossibility, as it is possible to find that perfect unit with a little due diligence. Next time you need self-storage, whether it be for personal or business reasons, make size, security and access priorities and work down from there. This guide has looked at what you need to consider when evaluating storage unit options. But remember, when it comes to self-storage units, you should only ever pay for what you need and features you will utilise.